Not only was the swell and emotional drama The Fault in Our Stars one of the biggest surprise successes of the year, but the film is also poised to be one of the most profitable. Following positive reviews and a hefty opening weekend, the pic just recently crossed the $100 million mark at the box office against a budget of just $12 million. Author John Green—whose who wrote the book—was a big presence during the film’s marketing campaign, and now another one of his books is poised to get the feature treatment following the success of Fault. Paramount Pictures is currently in talks with filmmaker Sarah Polley to write and possibly direct an adaptation of Green’s debut novel, the coming-of-age story Looking for Alaska. Hit the jump for more. Per Deadline, Take This Waltz, Away from Her, and Stories We Tell writer/director Sarah Polley has been tasked with adapting Green’s Looking for Alaska, with the possibility that she may helm the film as well. Apparently Polley pitched a strong take on the material, leading to her landing the writing job. Green’s novel revolves around 16-year-old Miles Halter who moves from Florida to a boarding school in Alabama, where he learns life lessons and becomes enthralled with stories of debauchery from his new best friend, the gorgeous Alaska Young. Soon, though, Miles begins to understand that there’s more hiding beneath her cheery exterior. The book was optioned years ago, but Green was left to wait as nothing ever came of it. Fresh off the smashing success of The Fault in Our Stars, though, it appears that Paramount has a renewed interest in the adaptation. I’ve not yet read Looking for Alaska, but I was a big fan of Green’s witty and straightforward prose in Fault, and Polley is an exceptional filmmaker in her own right. Another Green adaptation, Paper Towns, is also taking shape at Fox 2000 with Fault producer Wyck Godfrey, screenwriters Michael H. Weber and Scott Neustadter, and actor Nat Wolff. 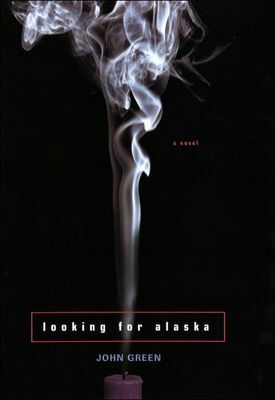 Read the synopsis for Looking for Alaska below.